A music resource for the celebration of the Christian Rite of Marriage. United As One is a music resource for the celebration of the Christian Rite of Marriage. Engaged couples and presiders will appreciate the selection of music for gathering, responsorial, communion, meditation and closing. The easy-to-use song index helps with planning and rehearsals, and most arrangements have complete keyboard and guitar accompaniments. This is the MP3 playlist for the CD United As One Vol. 2. 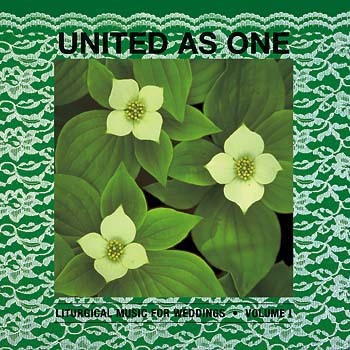 United As One is a music resource for the celebration of the Christian Rite of Marriage. Engaged couples and presiders will appreciate the selection of music for gathering, responsorial, communion, meditation and closing.